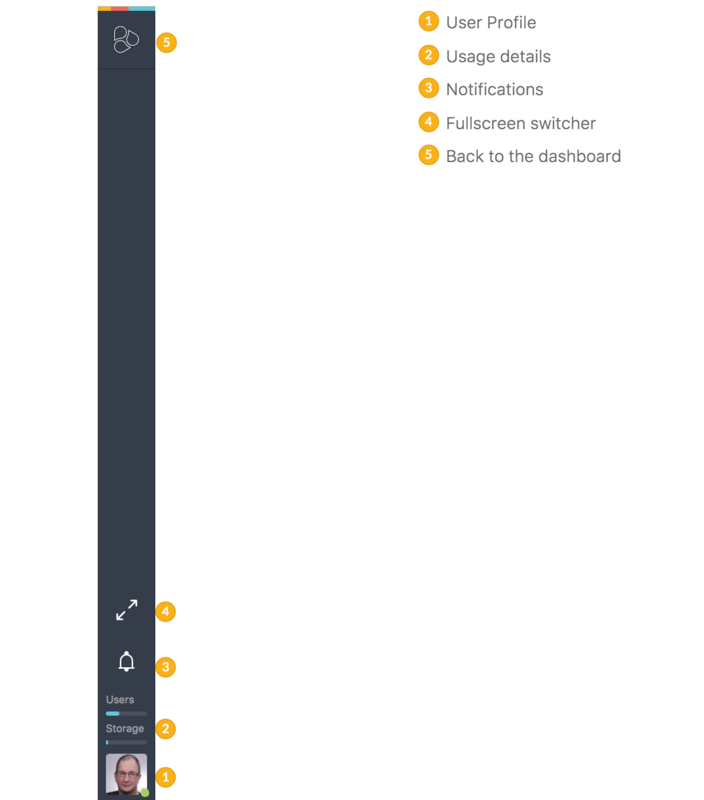 The Powerbar in Frontify from the dashboard view. After you have logged into Frontify. You will see the new PowerBar on the left-hand side. The PowerBar provides you with context specific tools and settings. The PowerBar on the dashboard. Change name, password, email, etc. Details about your storage, users etc. Your team did work, you`ll see it here. Sometimes you wanna work without magic. No problem. Over the switcher, you can deactivate the PowerBar. The way home is so easy. Press the Frontify logo in the PowerBar to get back to the dashboard.